TAO GROUP BLOG TAO NIGHTCLUB LAVO NIGHTCLUB TAO BEACH LAS VEGAS: USHER! Friday night on the earlier side we met up with TAO friends the Kardashian sisters for the Usher concert at The Palms and a post dinner at Simon, good times! 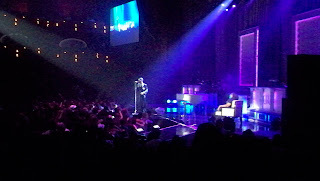 The concert was great, Usher is an amazing performer.